If you’re heading into the initial design phase of your IoT application, you’re probably figuring out which communication system you’re going to use. As you try and determine your cost per node, system installation cost, and hardware and software implementation costs, keep in mind that the type of network topology you use will impact all of these things. A mesh topology—a type of networking where all of your nodes cooperatively distribute data—is one of your options. To help you determine if this is the best bet for your application, we’ve created a list of advantages and disadvantages of a mesh topology. One of the advantages of a mesh topology is that (in theory) you don’t need to add routers to the network, as each node can act as a router. If you’re working on a mesh network for the lighting in your office building, and you want to add a light in a particular room, you should be able to add the light and have it automatically connect to the network. There isn’t a lot of extra management that needs to happen, which makes the network scalable. Another benefit of a mesh network topology is that if one of the nodes goes down, it doesn’t necessarily bring the entire network down. The network can heal itself around a bad node if other nodes can complete the mesh. Additionally, if you need to get more range out of a mesh system, you can add another node and the messages can hop through the mesh back to the gateway—which is why some believe mesh networks are more robust. Because all nodes in a mesh are receiving and translating information, there is some redundancy in a mesh topology; however, you can also gain speed with the excess bandwidth. If one route happens to be slow, a mesh network could potentially find a better route and optimize itself. Each node needs to both send messages as well as act as a router, which causes the complexity of each node to go up pretty significantly. Let’s say you’re making a small, low-power device—like a room occupancy sensor—and you are looking to get better range out of your system. The nodes have to now keep track of messages from five or 10 of their ‘neighbors,” which exponentially increases the amount of data that node has to deal with in order to pass along a message. Thus, if you add additional sensors to the mesh just to benefit the range, you’re naturally making the system more complex. As we mentioned previously, mesh networks are often considered highly scalable, and adding a node to the network typically isn’t very involved. But planning the network as a whole is a different story. Let’s say you have poor latency in one area of your building (which we’ll discuss below), and you need a particular light to turn on faster than it currently turns on. With a mesh network, you’d need to add a dedicated node that only forwards messages. But this complicates your network planning, because you now have to deploy a piece of equipment just to get your messages properly routed in a reasonable amount of time. As mentioned, latency—the time it takes a message to get from a node to the gateway—can impact your mesh network planning. Interestingly, you may improve some latency by using a mesh network with a larger scale system with more bandwidth, memory, and power. But latency becomes an issue in smaller low power, wide-area networks (LPWANs) because it doesn’t have the processing capability to handle the messaging. Thus, if you have a WiFi mesh, messages will likely be translated much quicker than a ZigBee mesh. This is something to consider based on the protocol you’ll be using and the latency your application requires. Because each node in a mesh has to act as an endpoint and a router, it has to draw more power to operate. Thus, if you have battery-powered, low-power nodes, a mesh may be difficult to deploy without a lot of network planning. Let’s say you have battery-powered nodes in windows and doors for your smart security system. The customer keeps the control panel in the basement, but all of the sensors are on the first and second floor. So while a second-floor window may be low power, because it only transmits messages, the sensors on the first floor will have to handle messages from the second floor windows and doors. In other words, you’re compounding the amount of data each node has to handle in a mesh, and so batteries on some nodes are likely to die faster. These advantages and disadvantages aside, you really need to look to the application you’re deploying in order to determine which network topology is ideal for your project. If you’re doing a small, simple network with 10-20 nodes for something like indoor lighting, a mesh network may work for you. If you need to use that same amount of nodes over a much larger space, a 2.4 GHz frequency band (which is where ZigBee operates) can be very difficult, and you may end up purchasing quite a few extra nodes to repeat the signal appropriately. Weigh your options—and if you have any questions, feel free to ask us. Glenn is the Vice President of Business Development at Link Labs. He is in charge of generating new business, interacting with distributors, sales reps, partners, and customers, and answering any technical questions that arise to ensure that the engineers can spend their time developing technology. 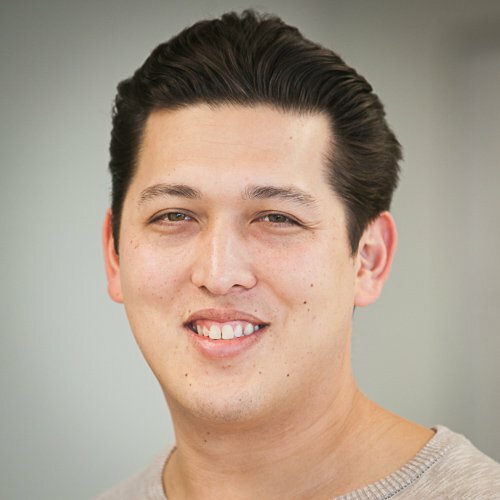 Before Link Labs, Glenn worked at the Department of Energy bringing energy efficiency to main street businesses, and was also a co-founder of ECORE Ventures, a cleantech project development company. He graduated from the U.S. Naval Academy, where he eventually went back to teach Energy Policy as a military officer and civilian professor. Prior to his return to USNA, he was a submarine officer stationed in Virginia on a guided missile sub.